Almost every website in today’s world is built on a CMS platform or eCommerce platform. Previously, we wrote a blog covering this topic in simply text format. Thanks for pulling together all the data and sharing the infographic. Based on the data provided, I am curious how you scored Drupal as #1 for platform for enterprises? 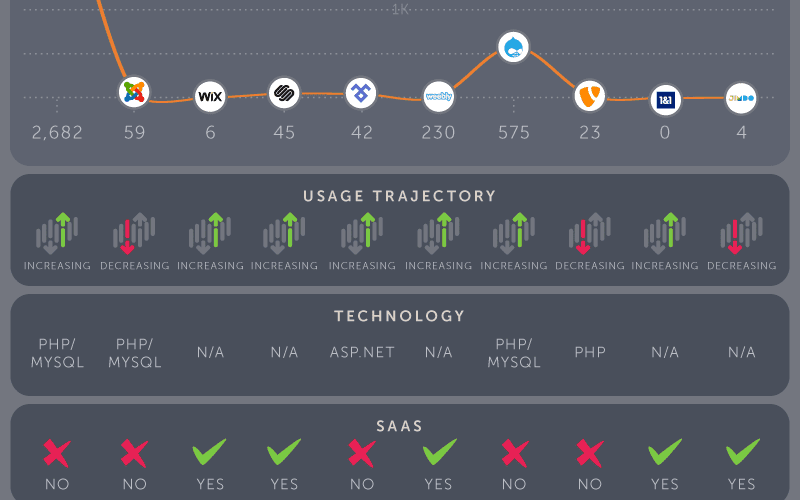 (though I wholeheartedly agree) it will be useful to understand your thoughs / assessment Since Drupal didn't score high on most of the charts by industry or by region.